Oblique Projection: A new Logo and a new outlook; towards the future. After a less than satisfactory experience with the original logotype that introduced Oblique Projection a new logo was commissioned from Synthetic Reality (designers). The original logotype linked the name with the concept did not seem to have that iconic character that could be distinguished from the background noise. 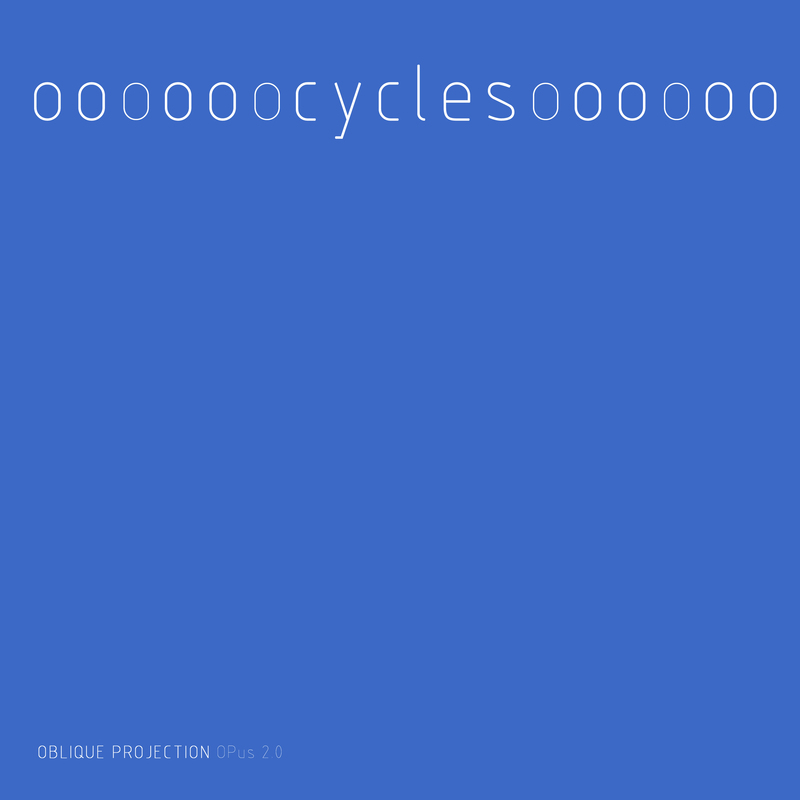 When the “Cycles” (OPus 2.0) album ( https://obliqueprojection.bandcamp.com/)was released earlier this year the logotype was suspended. The designers believed that reducing the band name to an acronym logo would make it easier to identify and explain a little more about the band and its music. Other bands are almost better known by their acronyms OMD, PIL, ELO, etc. Oblique Projection reduces to OP which can be seen in the catalog numbers for each album (MEC OPus 1.0, Cycles OPus 2.0), also a play on the word opus. 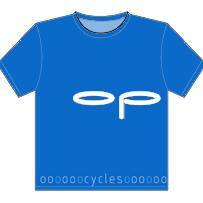 “OP” could be seen as short for Optic related topics. So “the eyes have it”. Synthetic Reality launched the new Oblique Projection logo on OP’s facebook page, ( https://www.facebook.com/ObliqueProjection/) with a roll out on other social and web sites in the coming weeks. The eye logo unites the OP acronym to the idea of image and representation, a new view of the world and the music. 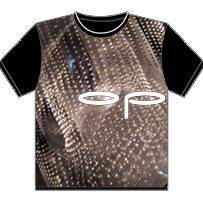 As part of the roll out is an investigation into merchandise and apparel (T-shirts) which were test launched on the Facebook page above; Cycles T-Shirt & City Lights T-Shirt. Black and White versions are also shown on their facebook page. 12 Publishers has launched Version, a multidisciplinary booklet/zine available in digital format and as print on demand package. The mission is to present a range of enquiries across the fields of Architecture, Art, Design, Music, Photography and Writing. The original intention was to bring into the open material that has previously been seen by very few as a reflective process. The planned editions are open ended with no set date for completion. It is expected though that the material presented in the zine editions will be reassembled in different formats in the future. The zine could be considered a foundation for future publishing concepts. Our first complete edition is Version 12.2.1 “the impossible memorial”, documenting the memorial to victims of abuse (ireland) by NJBA A+U. This is available to purchase from Blurb and to download as an e-book. Future plans include Version 12.1.1, “competing visions”, a range of competition entries by NJBA A+U, Version 12.3.1 “identity”, identity design from synthetic reality and Version 12.4.1 “water power”, sleeve notes for MEC the first experimental music album by Oblique Projection. 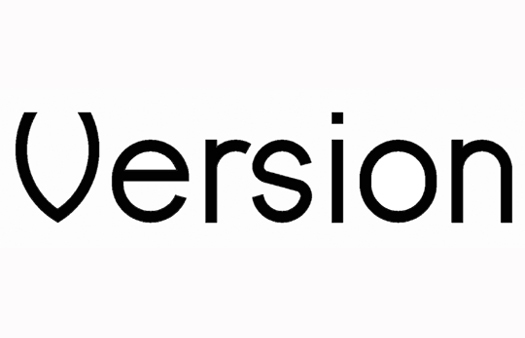 The Verison logo is based on the renaissance vescia symbol. The original reference is being used here for is gateway reference (to design based material in this case). A specific logotype has been created by synthetic reality for this purpose as well. The chosen font is Trebuchet MS, a reasonable common typeface which falls between Arial and Helvetica in terms of recognition while having some traditional characteristics. The zine will have a common template for covers based on the colour logic above. The subject of the cover will be a suitably abstract image from the content. Only “Version” and the relevant number along with the logo will appear on the cover as the identifier. Weclome to the 12 Publishers WordPress Blog. 2013 will, we hope, be a significant year for our work across all of the inter related fields of Architecture, Art, Design, Music, Photography and Writing. Our new website http://www.12publishers.com has gone live and further details will emerge in its new format. In addition to the WordPress Blog, we operate facebook pages for NJBA A+U (Architecture), Synthetic Reality (Design) and Oblique Projection (Music). We hope to add more material in the coming months. Through Blurb.com we will also be releasing a number of physical publications as well as e-books. Watch or read this space.